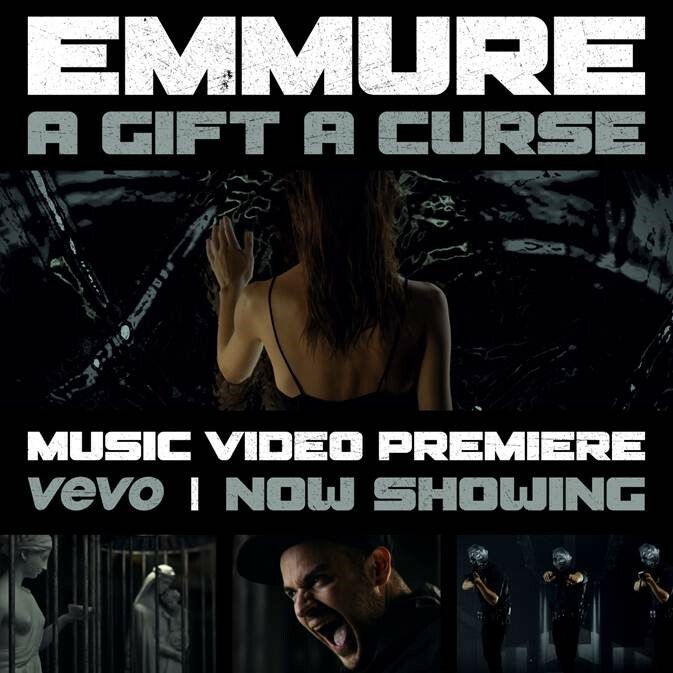 EMMURE have delivered “A Gift A Curse”, the fourth video from the album Eternal Enemies, available now. Aside from its technical mastery, the futuristic and mind-bending sequences propose the death of art. From the crumbling of the David Statue and the always enraged lyrics of EMMURE, “A Gift A Curse” moves along like an ballistic missile, leaving little time to interpretation. EMMURE will be hitting the U.S. with Suicide Silence starting February 17th in Santa Cruz, CA. The tour hits all corners of the country, don’t miss your chance to see EMMURE live.